The more you study and understand how our physiology works in a state of health, the more you see that every aspect of it functions through living polarities. To study any function in isolation, under this understanding, quickly feels one-sided and incomplete. The student of dynamic physiology, then, is always waiting for “the other shoe to drop”, every time they hear about a single physiological function, until they discover what its polaric function is. An example of this is in the way our immune system functions. The underlying concept of our entire immune system is of ‘true identity’, as we experience through ‘self and non-self’. The broadest polarity of the immune system, then, is between the two aspects of our ‘Innate’ immunity, and our ‘Adaptive’ immunity. 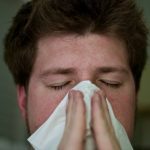 The innate immunity is more general, and is that which is already hard-wired into our physiology, such as our capacity to generate a fever, or some of the other physical barriers of our outer immune system, such as the mucous membranes. The adaptive immunity results from our various experiences of overcoming infections, and results in more specific immunity. A further polarization of the adaptive immunity is between the natural and artificial means of how it is acquired. The naturally acquired immunity itself polarizes into ‘passive’ and ‘active’, where the former are the immunity factors received from the mother by the fetus, and the latter are the result of the individual overcoming an infection themselves, and producing their own immune cells. The artificial forms of adaptive immunity also further polarize into a ‘passive’ and ‘active’ form, where the former involves a donation of immunity cells from a host to a recipient, and the latter aims to induce an immune response such as in the intention of vaccination, or the much safer and efficacious method of homeopathic immunization (known as homoprophylaxis). There’s a further level of polarization within the immune system, which is between the humoral immunity, and cell-mediated immunity. This is another level at which there is a distinction between specific and general immunity. Since these two functions are closely related to each other, the attempt to artificially increase the humoral immunity through vaccination actually decreases the health of the general response of the cell-mediated immunity. Without a concept of polarity, any one-sided approach to healthcare tends to cause unintended consequences and often ends up causing more harm than good. 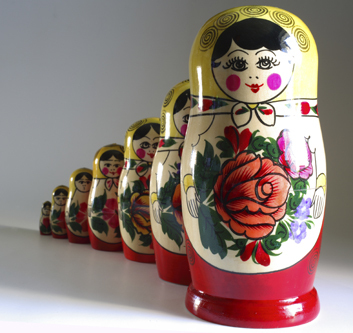 Beginning to unpack all of these polarities of the immune system can seem at first like the endless chain of Russian dolls inside of each other. Belladonna is one of the top remedies for childhood fever. It produces an incredible heat, so much so, that if you touch the forehead of the feverish child, the heat is still palpably present in your hand even after you’ve removed it. It is one of the most common remedies used at home by parents, and should be a staple item in every homeopathic first aid kit. The core feeling in Belladonna is of an attack which comes on suddenly, and which a tremendous amount of energy needs to be mustered to either run away, or fight off the attacker. The Belladonna fever in children is one where the fever, and the whole state comes on very rapidly. All kinds of delusions, and states of delirium are characteristic of this remedy. 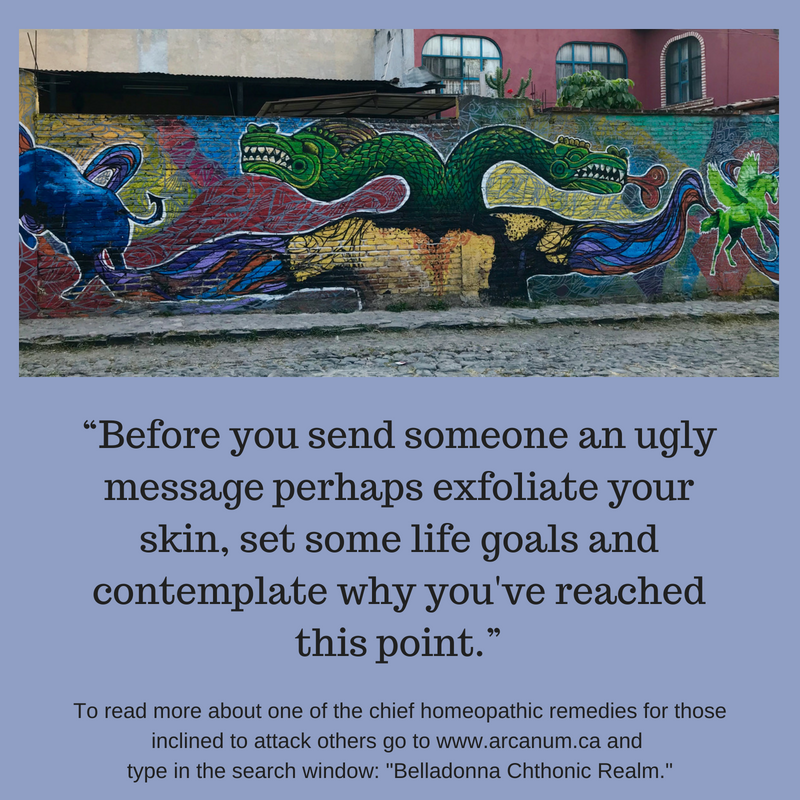 The image of this remedy was forever cemented into my mind many years ago, when I had a co-worker who suffered periodic flare-ups of the Belladonna state of mind and feeling. She suffered from a delusion that the police were following her, tapping her phone line, etc., and at unexpected moments in the midst of a conversation, she would flare up into the most amazing accusations that you were working for the cops, raising her voice at you as her face turned beet red. There was a feeling that the possibility of violence was not far away at all. Before long, the storm would pass, almost as if nothing had happened. Physically, this remedy can be useful in some epileptic conditions. It is also useful for bed wetting in children. In younger children, it can be the remedy to provide relief when aggressive biting is a problem. It is often a remedy very helpful for young mothers suffering from mastitis, especially where there are symptoms of extreme redness, and sensations of heat and even throbbing pain. It can also be helpful for the after-effects of sunstroke. In our postgraduate studies with Steven Decker at the Novalis Institute in California, we are taught to access the works of specific thinkers of the romantic period such as Rudolf Steiner, Dr. Samuel Hahnemann and Willhelm Reich. This was an important time in our history because man was still deeply connected to nature, both his own and the birds and the bees! Before the great intellectual heist of the 21st Century occurred, physicians and scientists, would very naturally recognize the value of using a more intuitive means to diagnose (from the Greek dia-through and gnosis-knowing) by connecting, phenomenologically, the dots between man’s diseases and nature’s innate capacity to cure them (healing). Now, in the present allopathic world, we just slap a label on the person qualifying them for some drug therapy. 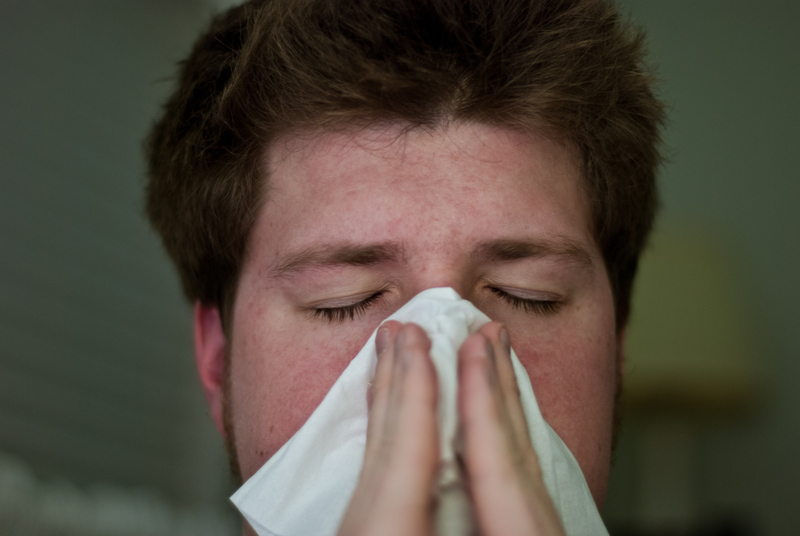 For example PFAPA or Periodic Fever Syndrome can be ascribed to an individual suffering periodic fevers, but the only treatment provided is courses of Anti-biotics or Tylenol to try and manage the symptoms. A sorry state of affairs, really, as there is no conscious knowledge gained at all. I had the pleasure of treating, with Heilkunst medicine, a young boy who suffered fever every 3-4 weeks like clockwork. His parents were mystified and so were his Allopahtic Doctors. 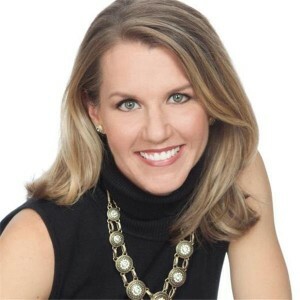 They offered the above mentioned protocol and the Mom shook her head saying, “No, that’s not the root cause, it doesn’t answer the question of why he suffers these symptoms.” Thankfully, Moms are the saviors of many a babe. We treated her son, sequentially as we do with any disease and when we stripped off the ill effects of the Allopathic vaccines, the boy had one more high fever, and then the phenomenon completely stopped. Five years hence, the boy hasn’t suffered a related fever or has been as susceptible to colds, flus, ear aches or bronchial infections as was true prior. 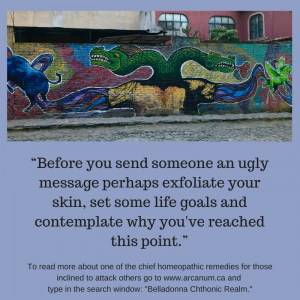 So when a Heilkunst physician is searching for the true cause of a disease through the process of diagnosis, we’re often stymied with the same limited modern organs everyone else has. 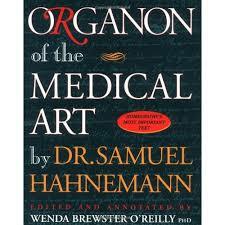 We’re hobbled by the same feisty heisted intellect and we need to search the “Oracles.” At Arcanum Wholistic Clinic, we have access to massive on-line libraries for Rudolf Steiner, Dr. Samuel Hahnemann, and Wilhelm Reich. 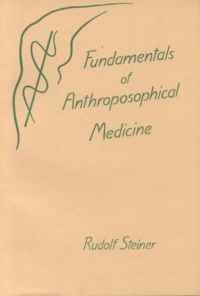 So for example, I pulled excerpts from Steiner on “Fever” so that you can see what we actually look at to piece together the phenomenological principles from these references in order to educate ourselves and our patients. If you were to take the time to read, and truly understand them, you would see that fever errupts when the astral (desires) forces from the cosmos (head) bear down too lightly, or too heavily, during the process of the formation of the metabolic organs. In plain terms, you can compare this act to an electrical storm really. The warm front moving down from the north (head) hits the cold front rising from the south (earth), the lightning (inflammation) occurs producing a seeming chaos that looks like heat, delirium, and discomfort. However, it is an absolutely necessary function to the bursting forth of a clogged and suppressed desire function within the human being. Most people don’t know that suppressed fever can equal the automaton-like nature of the victims of cancer, autism, hyperactivity, allergies, autoimmune diseases, and learning disabilities. Allopathic vaccines, although based on the homeopathic principle like cures like, are too strong and end up actually suppressing immunity, our desire function and hijacking our healthy sense of self. 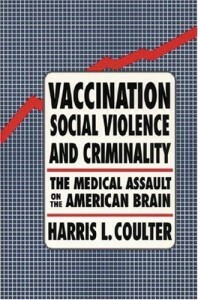 See Harris Coulter on this subject in his book on Vaccination, Social Violence and Criminality, a startling wake up call to the Anti-biotic and Tylenol toting community we’ve become. Did you know that after a child experiences the quintessential toddler fever, they can revel in a growth spurt? Remember the boy I talked about earlier in this blog article? Well he grew and inch after the last fever and his speech launched forward with clearer diction and an advancement in fine and gross motor skills. The Mom was thrilled, as was I. You may note in the excerpt below that Steiner used Silver (argentum nitricum) to trigger a feverish babe to once again model health. We know that each planet in the cosmos corresponds with the formation of the earth and the moon phase corresponds to silver. Remember that the little guy above was cycling into fever about once every 3-4 weeks, a lunar cycle. Cool huh? Don’t you love medical spiritual science as it was intended to be? I love learning from the Oracles and the big 3 in a dynamic way. This experience in and of itself was invaluable to me. Excerpted from Rudolf Steiner’s Esoteric Physiology and Anthroposophical Spiritual Science lectures delivered in Dornach, Switzerland in 1911. What is the cause of fever? 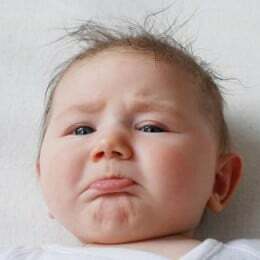 Fever is actually the result of an overactivity of the brain, which penetrates the entire human being. Assume that a person suffers from a disorder in some organ, say the liver or the kidneys, or especially the lungs, in the way I discussed with you recently. The brain begins to rebel against it. If the lungs no longer function correctly, the back portion of the brain rebels and stimulates the front part into rebelling against this lung disease, and hence fever occurs. This shows that man becomes warmer from his head downward and colder from below upward. This is very interesting. 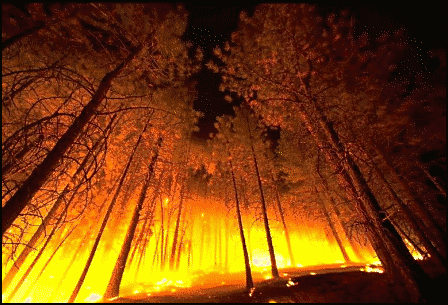 The human being actually is warmed downward from above. With fever we are concerned with our head. If there is an inflammation in the big toe, we produce the ensuing fever with the head. It is interesting that what lies farthest down is regulated by the foremost parts of the brain. Just as in the case of the dog, whose tail is regulated by his nose, so it is with the human being. If he struggles with a fever in his big toe, the activity that begets this fever lies entirely in the front of his brain. It is no slight to his dignity that, if man has an infection in his big toe, the fever originates entirely from the front, from a point above his nose. The human being thus always becomes warmer from above and colder from below. This is why the science of the spirit in particular will be in a position to explain the material world correctly. Materialism only looks at the material realm but is ignorant of all that lives in the material. It observes fever but does not know that fever is called forth by tremendously expanded brain activity. 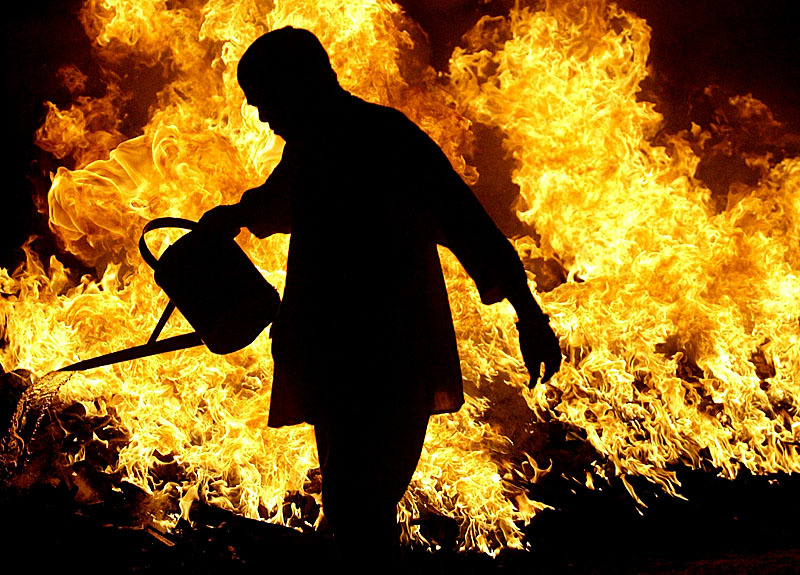 Materialism is always greatly astonished by shock but does not rightly recognize that shock comes from a drop of body temperature, because the proper “internal combustion” [ Verbrennung] can no longer continue. Thus we can say that the way the head of a pregnant woman is stimulated is strongly connected with the child’s development. As a matter of fact, it cannot have been quite as represented, for at three years old the child fell suddenly ill, with high fever, and had convulsions during the night, the attack lasting only a short time. Such attacks became then for a while very frequent, coming on as a rule at night; later they grew much less frequent, occurring on an average once in three months. The attacks have, as you see, the characteristic symptoms of convulsions, that we spoke of earlier. Characteristically also, they began in the fourth year. Before that, the organism had not developed so far as to push back the astral organisation; the point had not been reached when the outside coverings—the walls—of certain organs began to repel the astral organisation. During the convulsions there is complete unconsciousness. This too, we saw, is quite usual. The child has violent spasms of twitching, particularly over the left half of the body; the eyes are also turned to the left. Afterwards he is very exhausted, and vomiting often occurs. This means, you see, that by the time the child reached the third year, the walls of the organs were beginning to hold back the astral organisation, not allowing it to get through. Hence the convulsions. And with the convulsions—for the reason I explained to you—is associated loss of consciousness. But now in his case the astral organisation does succeed after a time in breaking through the walls of the organs to some extent. The child, unconsciously or semiconsciously, strains every effort to bring this about, and this struggle on his part lasts exactly as long as the attack. Then he has won through; but there is in consequence a certain emptiness in the organism in comparison with the previous condition, and this anomaly finds expression in the violent twitchings and spasms. A year and a half ago, when she was three and a half years old—note that this is exactly halfway through the epoch of the first seven years and is a moment of great importance, as is also the corresponding moment in the second epoch, halfway between the seventh and fourteenth years—when three and a half years old, the child had headaches with high fever, and immediately afterwards measles. She was a child who readily caught illnesses. Since that time, she has been particularly restless and excitable. The mother too was ill at the same time with influenza and has also been restless since, and easily upset. You see the parallelism between mother and child. The child’s appetite is always poor. And yet she is a fine, sturdy little girl, with powerful limbs. As you know, however, the organisation of the limbs is not built up, so far as substance is concerned, from food, but from the cosmos via the breathing and the activity of the senses. It is in the head that you will find the results of this poorness of appetite. A poor appetite, which means then of course impaired nutrition, affects the activity of the child’s head. The little girl is lively and imaginative; she is restless, not merely in her body, but in her thoughts too. 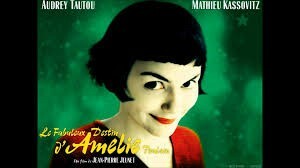 It can plainly be seen in her that her imagination and fantasy come not from the head but from the limbs. Her head organisation is very weak, her limb organisation particularly strong. Clearly, her life of fantasy comes from her limbs. The girl had, when three or four years old, an occult fever. It is even called that in the medical world—one of those instances where medicine has retained an earlier form of speech. When a doctor does not know what is the cause of a fever, he calls it an ‘occult’ fever. This occult fever, then, made its appearance. During the period round about the third and fourth years, the astral body was particularly weak. The physical body and the etheric body reacted to this and developed too strongly; and then the astral body was unable to keep up with them. It is exceedingly important that we take cognizance first of all of this fact: at the age of three the growth of the astral body suffered a significant check, the child’s astral body became stunted and cramped within itself. I must come to its aid. It must receive help to make up for what has been lost; and this help can be given through education, by awakening the child’s interest in many directions. This patient was a musician, thirty-one years old, who visited our clinic during a concert tour. He was suffering from a severe inflammatory and functional disturbance of the urinary tract, catarrhal symptoms, fever, excessive bodily fatigue, general weakness, and incapacity for work. The past history of the patient showed that he had repeatedly suffered the same condition. Examination of the patient’s spiritual state revealed a hypersensitive and exhausted astral body. The susceptibility of the physical and etheric body to catarrhal and inflammatory conditions was a consequence of this. Already as a child, the patient had a weak physical body, badly supported by the astral. Hence measles, scarlet fever, chickenpox, whooping cough and frequent attacks of sore throat; at the age of fourteen, there was an inflammation of the urethra, which recurred at the age of twenty-nine in conjunction with cystitis. At the age of eighteen, pneumonia and pleurisy; at twenty-nine, pleurisy again, following on an attack of influenza; and at the age of thirty, catarrhal inflammation of the frontal sinus. There is also a perpetual tendency to conjunctivitis. The abscess grew smaller and the distended stomach decreased in that the pus-formation grew continuously less and finally disappeared. While it was still flowing we were surprised one day by a renewed rise in temperature. This was not inexplicable to us, since, with the above-described constitution of the astral body, small psychological excitements could give rise to such fever. However, one must differentiate between the explanation of fever in such cases and its strongly harmful effect. For under these conditions, such a fever is the mediator for a profound intervention of the processes of destruction in the organism. One must provide at once for a strengthening of the etheric body, which will then paralyse the harmful effects of the astral. We gave high potency silver injections and the fever sank. The patient left the clinic with a twenty pounds’ increase in weight, and in a stronger condition. We are under no illusion as to the necessity for further treatment to consolidate the cure. This is still connected with something else, namely that in this condition the metabolic-limb activity is excessive. In the human organism everything works together. If the metabolic-limb system predominates, it also works too powerfully, not only on the rhythmic organization, but also on the head-organization, principally, on the former, for the digestive organization continues on into the rhythmic system. The products of digestion are transformed in the blood. The rhythm of the blood again is dependent upon what enters it by way of material substances. If, then, there is excessive activity on the part of the astral body and ego, symptoms of fever and a rise of temperature will occur. If we know that the astral body and the ego organization are driven out of the metabolic-limb system by the administration of a certain dosage of silver; if we are further aware that if the astral organism and the ego organization are too deeply embedded in the metabolic limb system, we can raise them out of the latter by giving a remedy consisting of silver or silver combined with some other substance. This demonstrates how we can master these connections within the being of man. Spiritual-Science therefore makes investigations into the whole of nature. In the last lecture I attempted to show, in principle, how this can be done in respect to the plants. Today I have explained how it can be done in respect to two mineral substances, lead and silver. We gain an insight into the relation between the human organism and its surroundings by directing our attention to the manner in which these different external substances are worked with by the different members of the constitution of man.